It's Tuesday and we all know what that means...TACOS! Everyone celebrated taco tuesdays, so i am going to celebrate by sharing a recipe for Fusion Tacos from my upcoming book Fusion Food in the Vegan Kitchen, which, by the way, is now available for preorder. Before I get to the recipe, let me tell you a little bit about this book. "What is this new cookbook?" you ask. 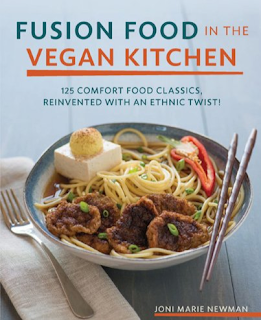 Fusion Food in the Vegan Kitchen: 125 Comfort Food Classics, Reinvented with an Ethnic Twist! is the newest addition to my growing family. It is a totally new way of writing for me, and I certainly feel it's my best work to date. Filled with scratch made recipes, it has been so much fun writing and testing for this book. It was (and still is) a big pleasure to be working with Wade Hammond on the photography. His modern take on food photography and styling really captured the true essence of these recipes. 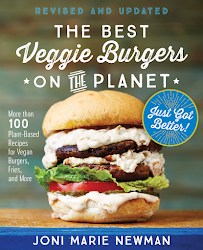 "This innovative vegan cookbook combines the best of both worlds—comfort food + ethnic cuisine. The result is Fusion Food in the Vegan Kitchen, a delicious, experimental type of cooking popular in California and quickly taking the vegan world by storm. Its focus is not only on fresh, local ingredients, but also the amazing flavors found in different world cuisines. Think Korean pulled “pork” sandwiches, miso mac ’n’ cheese, and Mexican hot chocolate cake truffles. Traditional, with a twist! Author and California native Joni Marie Newman will treat you to more than 100 innovative recipes, all featuring whole foods ingredients that can be found at almost any grocery store or farmer's market—no store-bought faux meats, mayos, cheeses, or the like. 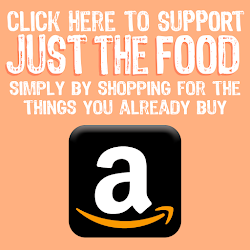 Recipes will also feature low fat, soy free, and gluten free options for those with special dietary needs. Push the envelope on taste and take plant-based cooking to a whole new level with Fusion Food in the Vegan Kitchen." The book isn't coming out for a few more months, but I want to giveaway a copy before it hits the shelves. Just follow the prompts in the widget below, and I will be giving away one copy as soon as I get them in my hot little hands! The sweet, juicy asada combined with the almost bitter crunch of the coleslaw topped with the creamy heat of the sauce up on top makes these tacos a real fiesta in your mouth. *There is an updated version of this sauce made without storebought mayo in the book! Heat a dry pan over medium high heat and warm your tortillas until lightly browned on each side. Stack 2 tortillas for each taco. You will make 8 total tacos. Topped with green onions and cilantro. These delicious strips of juicy flavorful pineapple teriyaki seitan serve up great over rice or steamed veggies. My favorite way to serve them up is in tacos! *There is a recipe for home made pineapple teryiaki sauce in the book! Add the vital wheat gluten, whole wheat pastry flour, paprika, garlic powder, and onion powder to a mixing bowl and mix to combine. In a separate bowl, mix together water, soy sauce, Worcestershire, and liquid smoke. Add wet to dry and knead until a very elastic dough is formed. Shape dough into a log shape and to the center of a piece of foil or parchment paper, roll up andand twist the ends tight to close. Place log on a baking sheet, seam side down and bake for one hour, flipping half way through. Add Pineapple Teriyaki Sauce to a pot and heat over medium low heat. Preheat a tablespoon of vegetable oil in a frying pan over medium high heat. Add seitan strips in a single layer to the hot pan and pan fry for 2 to 3 minutes, or until dark golden brown and crispy. Flip and repeat on the other side. Repeat until all of the pieces have been added to the sauce. Toss seitan to coat, and keep warm until ready to serve. Serve garnished with green onions and sesame seeds if desired. oooh i want these tacos and that cookbook! Looks like an amazing new book. Thanks for a chance to win one! I have to say I would love some sushi fusion with seitan. Vegan Cheeseburger Maki sounds awfully tempting. What a tough question!! Maybe Hawaiian meets Soul Food? Mainly because I love pineapple & BBQ sauce. Hiya! Vegan MoFo Hoppin'! Nice place you have here! May I link you and visit and comment often!? Swing by my place and let me know! Everything looks and sounds AMAZING!!!!!! I would like to see a fusion vegan Asian osso bucco. Holy wow, those taco's look epic! It's not new or exciting but anything that fuses PB and Chocolate together is a win in my book! This sounds amazing and I am anxiously awaiting this books release! Mmm, these tacos look packed with flavourful ingredients! I would like to see more of the mexican/asian style like your tacos. II would also love to get a signed copy of this book! id like to see a fusion of potatoes and brussel sprouts! I love seeing veggies and cocktails fused together - mmm! the tacos look delish! !thanks for sharing! Thai Nachos are two things that need to happen together! YES!! I am so excited about this book! I'd say fried rice and burritos. When I was a kid, I dreamed of opening a Mexican-Chinese restaurant one day! I just think every cuisine is begging to be made into a burrito. Avocados and chocolate make for a nice combination. I can't wait to see the finished book! I've been dreaming of those Korean burritos lately, I need to make them again soon! There is nothing sacred in my kitchen ... I would like to see Thai and Ethiopian fused - two of my favourites ever! For ingredient combinations, how about carrot and chocolate? Perhaps a Mexican Mole Carrot Cake? Hmmm breakfast and pizza ?? Yum ! Or am I just looking for an excuse to eat pizza for breakfast ? Sounds great. I love new flavours from fusions.. my latest fun has been a kimchi poutine! 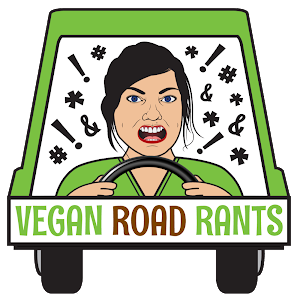 I read through the comments, and now I can't get VeggieNextDoor's idea of Hawaiian and Soul Food out of my head...!! I'd love to see indian food and southern food together! A fusion of a lemony pesto pasta and a spicy coconut/tomato curry? I like the southern tex-mex idea! Fusion food is so creative that I'm pretty stumped for ideas. as a Brit maybe you could fuse some classic British food with Asian or Middle-Eastern (my favourite cuisine). I'm thinking "Bangers and Mash" with a twist?! I've never even heard of Taco Tuesdays. I think this needs to be a thing in my life! Hmm what about Chinese & Italian? I like fusing Mexican and food from the midwest-where I grew up! How about Middle Eastern & Barbecue? Hum...I'm open to trying anything. I learned a long time ago not to form food judgement ;-) Some of these ideas are so creative! Middle eastern and thai? My two favorites haha! I would love to see Indian and Mexican fusion. Sounds weird but I think they are pretty similar in ways.